The dependable Fx 45a/55a breakers are available in a variety of mounting configurations, enabling them to be easily attached to mini-excavators, skid-steer loaders and rubber-tired backhoes. 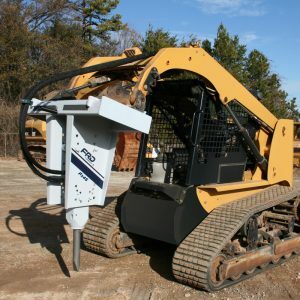 Performance features and mounting options make these breakers ideal for site preparation, foundation removal, road repair, driveway and sidewalks or pedestrian bridges. The unique mono-block design is a result of years of engineering refinement and field experience. Two moving parts simplifies the hammer operation and reduces the chance of downtime. 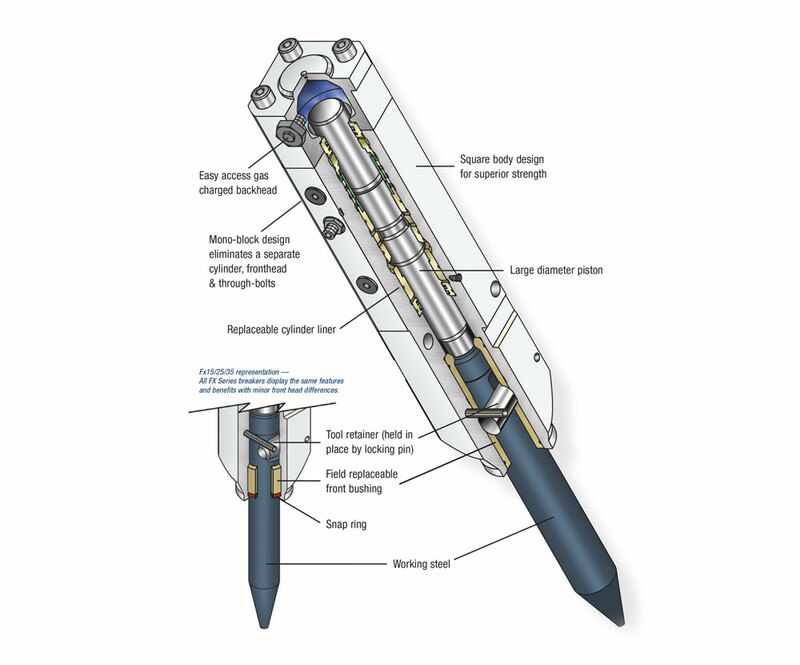 The advanced hydraulic circuit provides increased flow to the valve and piston, resulting in faster cycle times, increased tool penetration and more productivity per hour than on previous models. There are no Through-bolts to constantly torque or replace and the front wear bushing is easily replaced so your hammer is always in perfect working condition. The wider oil flow range is an example of the hammers superior design, allowing for faster striking speeds and the ability to be used on a wider range of carriers. The nitrogen charged back-head increases the impact energy maximizing hammer production.